Kerta Gosa is a beautiful historical site situated in the heart of Semarapura Town, about 40 km east side of Denpasar City. Why Kerta Gosa is special ? 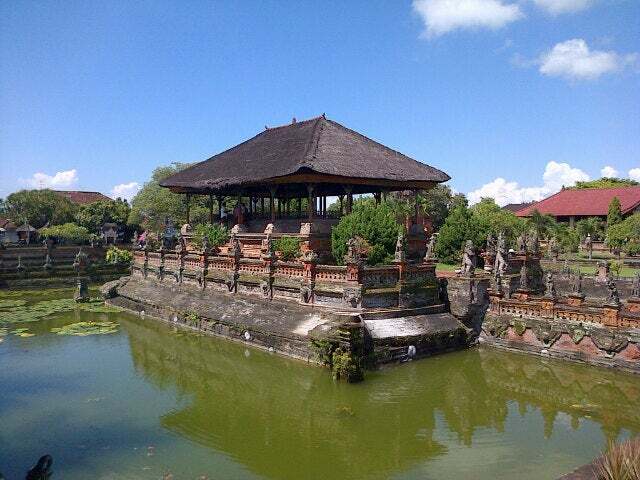 The Kertha Gosa is an example of Balinese architecture located on the island of Bali, in the city Klungkung, Indonesia. 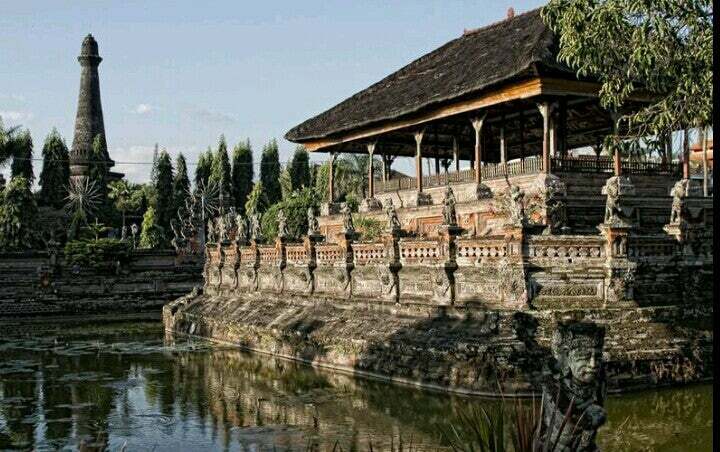 The Kertha Gosa Pavilion at Klungkung Palace was first built in the early 18th century by Dewa Agung Gusti Sideman. The first function of the pavilion was for the court of law in 1945. Kertha Gosa was repainted in the 1920s and again in the 1960s. The people who discovered the pavilion knew there was an extensive history behind the pavilion. 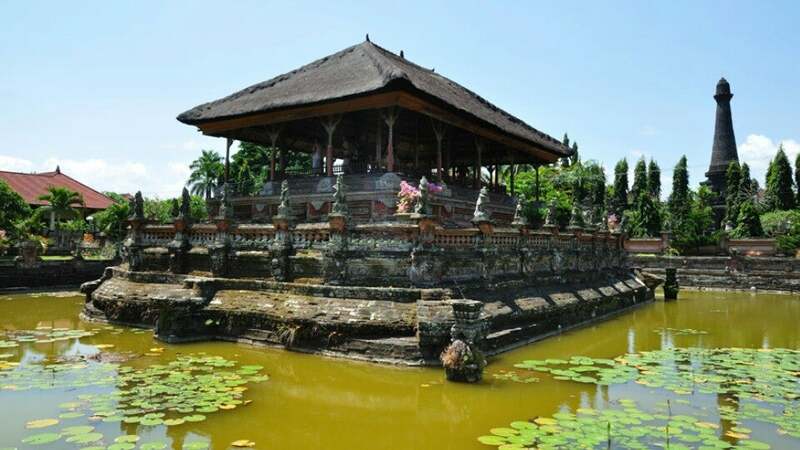 The discovery of Kertha Gosa pavilion was only known by people writing about it here or there to others outside of Bali. The Kertha Gosa Pavilion at Klungkung has the story of Bhima Swarga painted around the ceiling. Bhima Swarga is a Hindu epic referenced from the Mahabharata. The story at the Kertha Gosa Pavilion is not the whole Mahabharata but one small section called Bhima Swarga. What to explore at Kerta Gosa? Both sides of the bridges towards this ‘floating hall’ are adorned by guardian statues that depict characters from the epic and all surround a moat filled with lotuses. The hall structures served as a main place for the royal family to conduct important rituals and rites of passage. How to get to Kerta Gosa? Kerta Gosa is located in the heart of Semarapura Town, about 40 km east side of Denpasar City. It will take around 2 hours from Kuta. There is a toilet but no food services. Downtown Klungkung has mostly local type warungs, limited menu. If you are heading East, you might want to wait and have lunch in Candi Dasa. 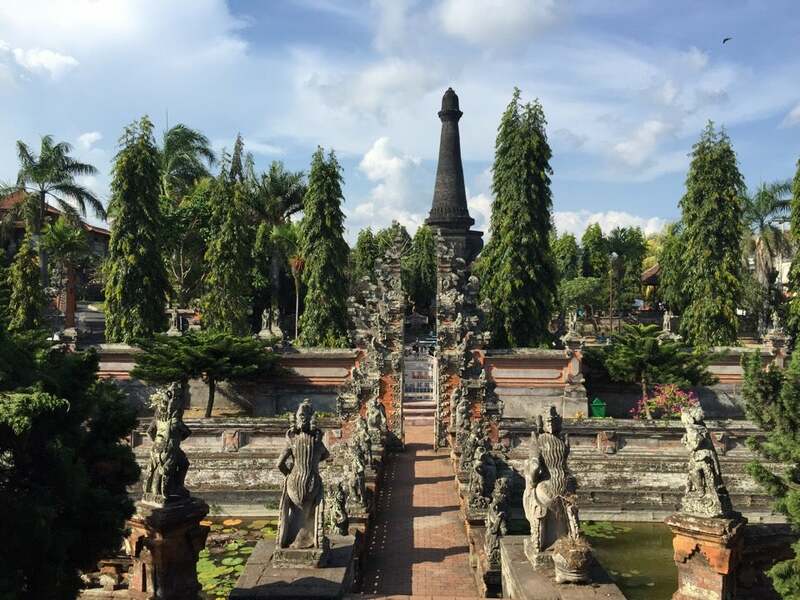 If you are returning to the Kuta area, you might circle round and enjoy the culinary delights of Ubud on the way back.